Whenever a manager comes under fire and leaves the pitch to a chorus of boos after a bad run of performances, they are invariably asked about the crowd’s reaction during their post-match interview, and always come up with something along the lines of, ‘the supporters have a right to vent their frustration’. In Sarri’s case, he’s been no different in front of the Sky cameras after a game. But that’s where the empathy stops with fans and once he shakes the interviewer’s hand and walks off, it’s back to Sarri’s way of doing things. Chelsea fans chant at Cardiff: "We want Sarri out, say we want Sarri out." This is strange, because many other under-fire managers in Sarri’s position would be jumping through hoops of fire to appease the fans as they desperately search around for a few half-decent results that will provide the stay of execution they need. 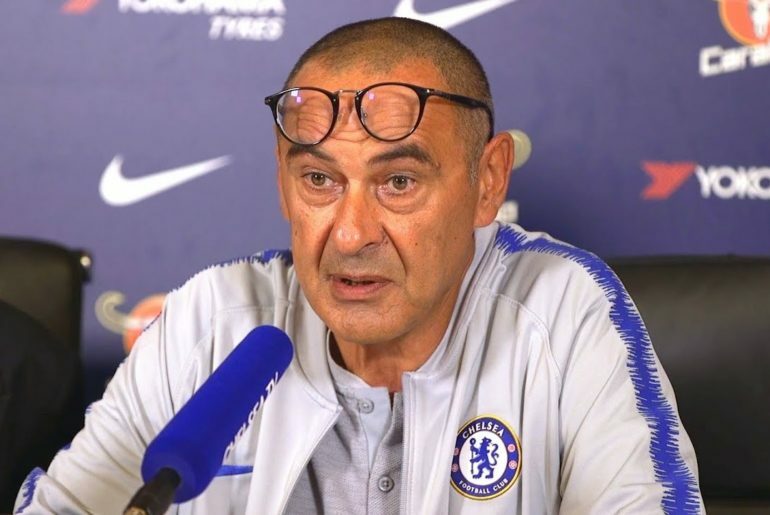 Maurizio Sarri is obviously not any other manager, and that probably goes a long way in explaining that what is really going on at Chelsea is more about Sarri’s personality than his football, especially now as captain Cesar Azpilicueta has demanded the fans get behind the manager. The disdain from the stands doesn’t come from the Chelsea fans thinking he’s an utterly useless manager and devoid of any tactical nous, but rather the fact he has been so flippant towards their feelings and so annoyingly steadfast in his footballing philosophy. It’s no wonder that the patience on the terraces has run out so quickly when Sarri’s saying things like he only watched 20 minutes of Hudson-Odoi’s England debut, after the Blues faithful have demanded that he start in the Premier League. This is a player, after all, that will play a key role in an England team that is 7/4 to win the UEFA Nations League in international football betting. How then doesn’t he start a game at club level? That’s Sarri for you, and sometimes you can’t help but wonder whether his way of biting back is to antagonise an already infuriated fanbase. 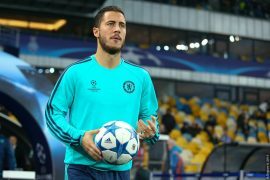 By all accounts, if he was to adopt a more pragmatic attitude at Stamford Bridge, he would be liked a lot more. 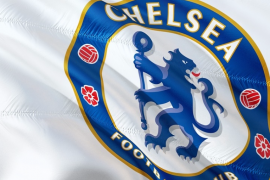 There were signs in the 3-0 win over Brighton that the Italian could possibly be bowing to fan pressure, given he started with Hudson-Odoi and Loftus-Cheek, but it’s too early to tell if that will be a sign of things to come. 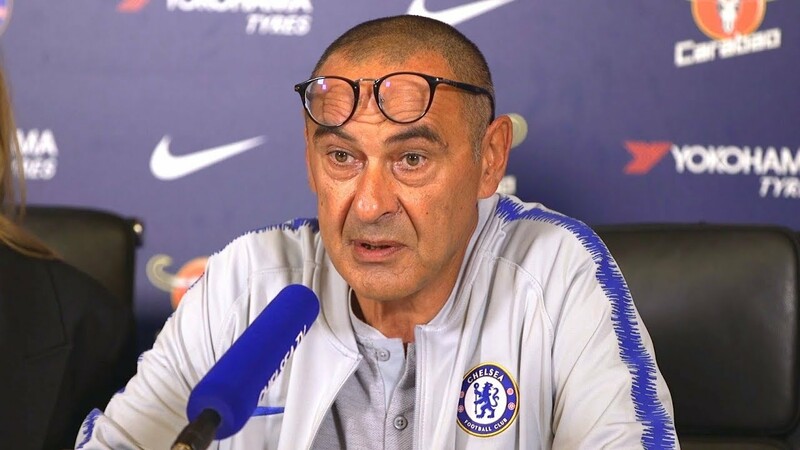 Of course, it really should be given as Loftus-Cheek scored and Hudson-Odoi assisted Giroud’s goal, but surely Sarri knows that he’s got a far better chance of managing a winning team when he starts his best players. In all sincerity, it wouldn’t even be giving in to the calls from the terraces, but rather just using common sense. For some reason or other, and you’d have to think pride is playing a big part: Sarri is refusing to do what is best for Chelsea by falling in line with what the fans want, which also happens to be the most logical way forward. Six wins in the last eight games suggest Chelsea are by no means on a terrible run that would normally see a manager fired – far from it. But because of how toxic the relationship has become between manager and supporters, it seems like any game could be Sarri’s last. At the end of the day, Sarri could change all of this by being willing to consider and accept a different point of view.